Baking soda is amazing. There is no other explanation for the array of uses that it has. One of the best uses has to do with vacuuming. Take baking soda and sprinkle it all over your carpeting and rugs before vacuuming. Let it sit for a few minutes and then do your normal vacuuming routine. This may seem like more work versus just vacuuming, however, your carpeting will smell fresher longer by doing this. Of course it will also make just about any room or area smell fresh, from refrigerators to closets, leaving an open box of baking soda in a room or on a shelf will keep it smelling fresh for weeks! Lemon is another great all natural inexpensive cleaning product. It also has a variety of uses. Many people use lemon juice to clean sinks and chrome. You can use juice on a cloth, or just use a half of a lemon and scrub the sink as you would with a sponge. You will want to be sure to rinse it off so that it doesn’t get sticky. It should leave your sinks shining like new. Another use is to clean your garbage disposal. Slice up a lemon and throw it down the disposal before running it as usual. (Make sure there is no food in the disposal prior, to allow for the lemon to work its magic.) Both of these uses will save a ton of time compared to the old ways of making your sink shine and disposal smell good! 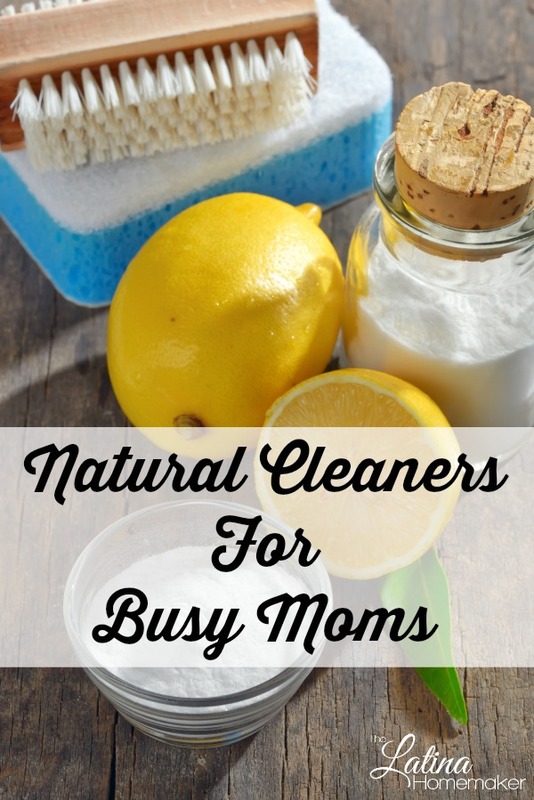 What are some ways you use natural cleaners in your home? I would love to hear your tips and tricks!